Anticipation mounts as the eerie descent into the basement of one of Savannah's oldest and most haunted buiidings, Moon River Brewing Company, begins. You've heard the rumors and local ghost lore - and have seen the Ghost Adventures and Ghost Hunters episodes - but, is the space really haunted?? Welcome to the most immersive ghost experience Savannah has ever seen - one that you won't soon forget! THE HAUNTING is a fully immersive, sensory, paranormal experience that takes place in the haunted beer cellar of Moon River Brewing Company in Savannah, GA - widely considered to be the most haunted building in the most haunted city in America! The building's well-documented ghost activity includes seeing shadow figures, orbs of light, objects breaking on their own, electronics being turned on/off by spirits, flickering lights, drops in temperature, hearing whispers, footsteps, knocking, doors slamming on their own...when screams fill the room, you won't know if it's your own screams you are hearing or those of the undead! Steel your nerves and prepare to experience Moon River's nefarious spirits like never before! This event is for adults ages 18 and older. Must be 21+ to be served alcoholic beverages. IDs will be checked by bartender. Is this the same Moon River Brewery that was featured on "Ghost Hunters"? Yes! Moon River Brewing Company (and its ghosts!) 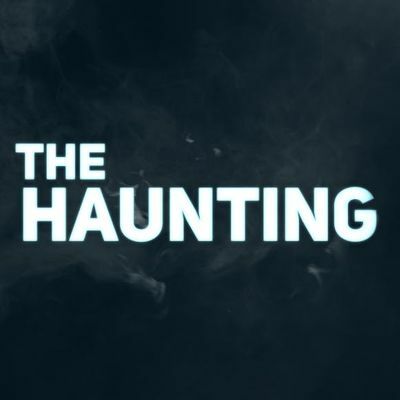 has been featured on both "Ghost Hunters" and "Ghost Adventures" televison shows on SyFy and Travel Channels. There will only be beverages available during the event. Food will be available for purchase before and after the event at Moon River Brewing Company. Food coupons for Moon River Brewing Company are included with THE HAUNTING ticket purchase. Which hotels do you recommend for guests traveling in from out of town? Special discounts are available for THE HAUNTING ticket holders for area hotels! Please email us for details. Do guests need to sign a waiver for this event? Please email us with any special needs you may have and we will do our very best to accommodate you!